The original church on this site dating from 1834 was, following significant population growth in the area, remodelled with a larger-scale chancel in 1906-8 to create the present building. Its name, St James, Hill, is a reference to one of four original "field manors" of Sutton Coldfield (Maney, Great Sutton, Little Sutton and Hill). Hill village became a separate parish in 1853, but the area surrounding the church is nowadays referred to as Mere Green. 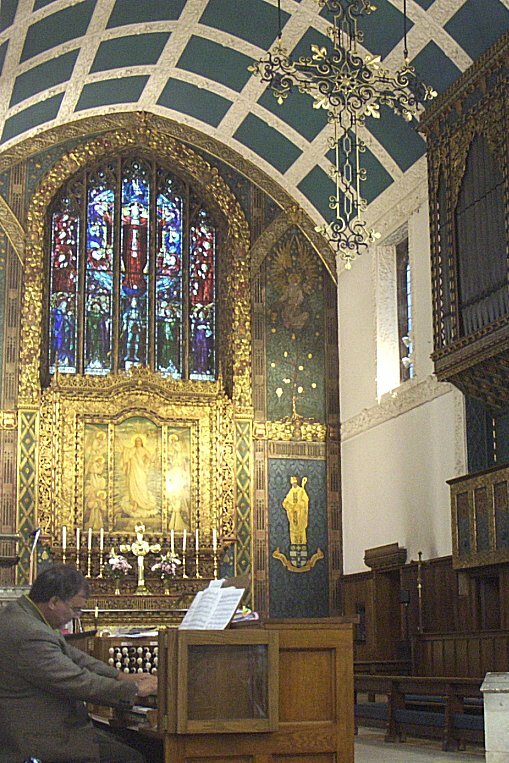 The Nicholson organ was of two manuals only, but during a rebuild to mark the church's 150th anniversary, Leonard Reeves of Stoke made various tonal changes, electrified the action, provided a detached console and filled the space it previously occupied with a Positif division. 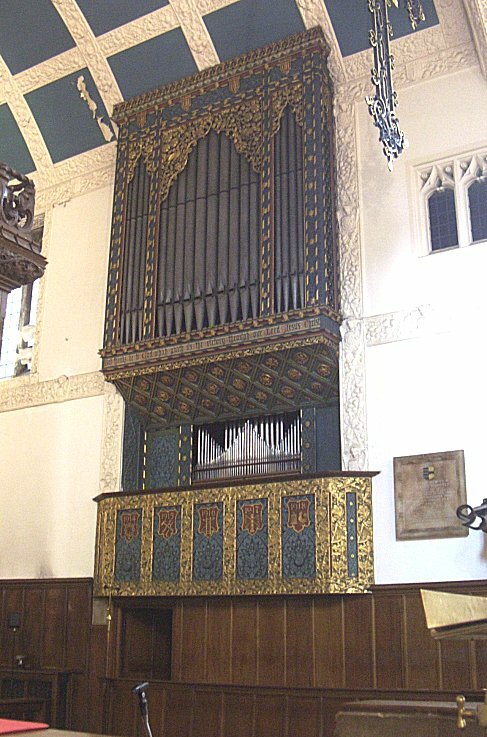 The organ, particularly this new Positif, makes extensive use of borrowing and extension to create an impressive-looking stop-list, but it nevertheless sounds well in the church's generous acoustic. The re-opening recital was given by Thomas Trotter in 1986. 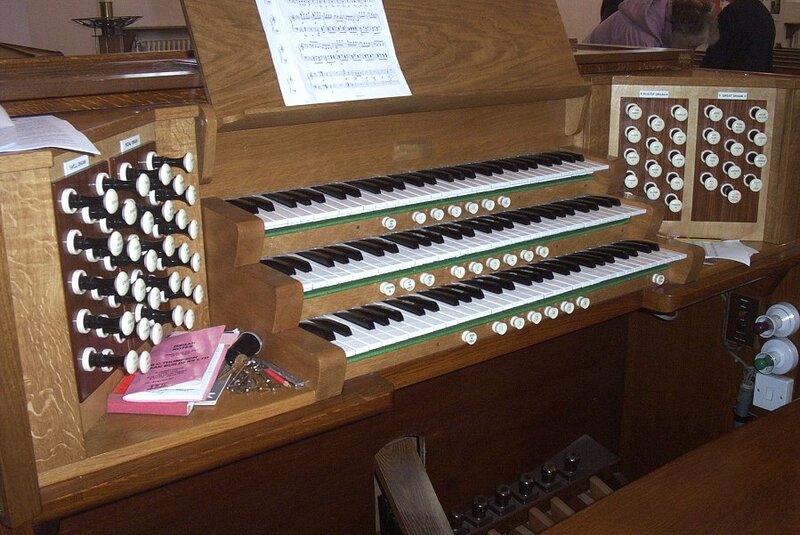 The organ is now in the care of Mark Thompson of Burton-upon-Trent, who cleaned and rebuilt the instrument in 2001.